Update your decor with the MS International Mare Bianco 12 in. x 24 in. Polished Porcelain Floor and Wall Tile for your next installation or renovation project to incorporate a contemporary aesthetic. 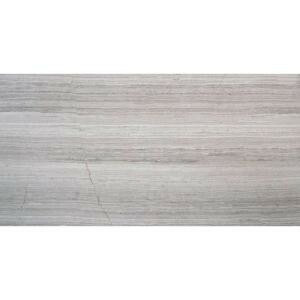 This beautiful tile features a smooth, high-sheen finish and with white tones interspersed with gray streaks. Designed for floor, wall and countertop use, this porcelain tile offers a water absorption of less than 0.5% and a slight variation in tone to create a stylish complement for a wide variety of design schemes. This floor and wall tile is marginally skid resistant to suit your needs. Buy online MS International Mare Bianco 12 in. x 24 in. Glazed Polished Porcelain Floor and Wall Tile (16 sq. ft. / case) NHDMARBIA1224P, leave review and share Your friends.